SASSA believes improved biometrics will help it prevent deductions and root out fraud. The South African Social Security Agency (SASSA) says it is working to improve its biometric payment system to curb unauthorised deductions from the accounts of already cash-strapped recipients. The personal data of social grant recipients should remain private and only be used for payment purposes; however, complaints from beneficiaries about deductions from their bank accounts indicate otherwise. SASSA beneficiaries have voiced displeasure over what they term "illegal" payments for loans, airtime, electricity and funeral policies before their social grants are paid out. SASSA says it plans to remedy this situation by improving its security systems. The social security agency is tasked with the provision of social grants to over 17 million South Africans. Although no costs have been attached to the systems upgrade exercise, SASSA believes the improvements will make deductions from beneficiaries' accounts "a thing of the past". Warwick Metcalfe, head of work-streams at SASSA, says the agency wants compliance that will prevent deductions and reduce fraud. "We will have an improved biometric system. "SASSA wants to have the ability to not only own the grant beneficiaries' data but to protect it better." Social development minister Bathabile Dlamini adds: "We are working with the Department of Science and Technology, through the Council for Scientific and Industrial Research. 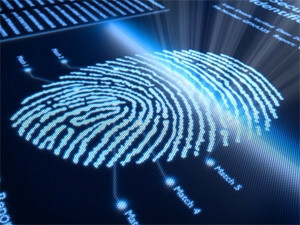 They have been able to put together a biometrics system that will take us forward. We have given them the responsibility of coming up with a card with good features so that our card is made in South Africa to create jobs." SASSA's latest efforts appear to back the Constitutional Court's (ConCourt's) directive for the agency to safeguard the personal data of beneficiaries. Following its decision to extend the social grants payment contract with Cash Paymaster Services (CPS), the ConCourt ordered SASSA to set up adequate measures to ensure grant beneficiaries are not exploited. CPS, a Net1 UEPS Technologies subsidiary, distributes social grants on behalf of SASSA. CPS has been the paymaster of social grants to over 10 million recipients since it was awarded the tender to carry out these services in 2012. The Net1 subsidiary has faced a slew of allegations that it authorised deductions on beneficiaries' accounts before their social grants were paid out. The payments provider has refuted these claims. In 2016, the Department of Social Development and SASSA introduced amendments to a section of the Social Assistance Act that would inhibit deductions from the accounts of social grant recipients. The Black Sash Trust also filed an application requesting court intervention in the deductions impasse. The attempt to protect beneficiaries was set aside as the North Gauteng High Court ruled in favour of deductions from the bank accounts of social grant recipients. According to Metcalfe, SASSA is working towards carrying out the instructions of the ConCourt and has prioritised improving security systems. SASSA will also work on a cyber security strategy to avoid being taken advantage of by cyber criminals, he notes. The South African Post Office (SAPO), through Postbank, has declared its readiness to be the service provider for the payment of grants. However, the prospect of SAPO as a future social grants distributor remains hazy. Last week, the Standing Committee on Public Accounts (Scopa) in Parliament heard that SASSA is still to determine the post office's shortcomings in paying millions of social grants recipients. Scopa chairperson Themba Godi, who has been critical of the social security agency, indicated he did not get a sense that SASSA was "enthusiastically embracing" SAPO. "It seems it is not really about what SAPO can't do, but rather you deciding that SAPO won't be able to do," he said. According to Dlamini, SASSA will deliberate on SAPO's submission to be considered a service provider. "They are going to give us space to do due diligence on their proposals. There are other government departments that we are working with, such as home affairs... to double-check people that are enrolled for grants."